Tron's Auto has been in business for over 15 Years, serving all of Brevard County. 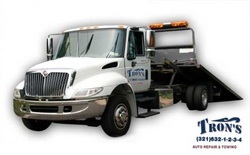 Trons Auto is independently owned and operated and offers honest and friendly service. Call today to schedule your cars next service appointment or to ask our experienced and highly trained mechanics about your car needs.